Online security is something that everyone really cares about. Most of the browsers claim big in terms of their security features, but not all glitter is gold. Yes, we can definitely tweak settings of most popular browsers such as Chrome, Firefox, and Safari, but still, there are many controls that are not within our reach. Many of these browsers do indulge in data collection for websites. They are secure in most ways, of course; however, they cannot provide a hundred percent assurance. And then there are some “specialized” browsers that are created with a notion to keep your privacy intact. Heads up, though, as we cannot guarantee that these browsers have unmatched privacy features, but they do offer a good service. They are not as swanky and appealing to the eyes as the widely used browsers out there, but privacy requires a little settling. 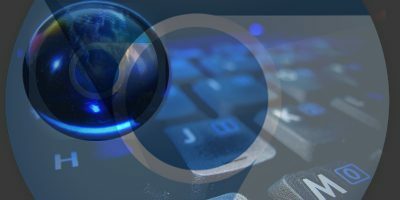 We have compiled a handpicked list of such specialized security-centric browsers that serve the purpose for those who do not want to compromise on their privacy. Epic browser literally gets rid all the unwanted features that a regular browser provides as a complimentary service. Its interface looks more like a mellow version of Google Chrome. The browser gers rid of cookies and trackers at the end of each session. All the searches done in the browser are channeled or rather proxied through Epic’s own servers which leaves zero chances for the IP address to be connected to a search. The browser also gives more power to SSL connections which acts as a better guard for open WiFi connections. Most importantly, Epic does not collect user data and also features an excellent ad-block system. For a fully encrypted Internet connection, it provides a one-tap proxy feature that reduces browsing speed. In the long run, the proxy feature will be really effective in terms of privacy management. On another sweet note, Epic does not bundle malware or anti-phishing that has become common on various mainstream browsers these days. 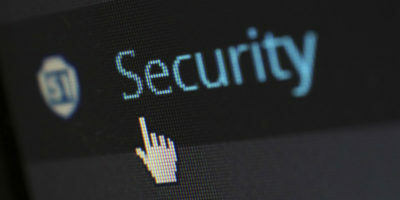 Comodo continues to enhance its Dragon secure browser by foraying into two versions: Chromium Dragon and Firefox Ice Dragon. The two versions are a mix of standard browser features without any redundant tools that pose no use. 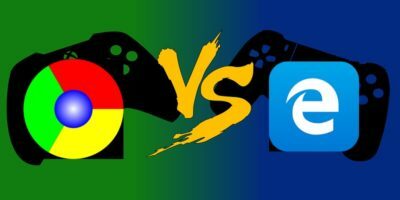 The versions can be chosen depending on whether you prefer Google Chrome or Firefox. Both versions render unmatched service for transporting existing data from Chrome and Firefox, such as plug-ins, saved passwords, and favorites/bookmarks. The top feature in the browser is its ability to let you choose whether to use Comodo’s SecureDNS servers or not. 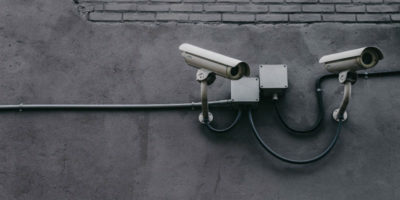 The SecureDNS service does come in handy in maintaining privacy and security. It might not be as secure if you choose to let go of Comodo’s ISP systems. The system also protects users through domain filtering which filters problem-causing domains that are plagued by malware. Another cool feature in Comodo browsers is “virtualized mode” that segregates it from the host system. This feature is absolutely free. However, you will need to install Internet Security (CIS), which is a free version of Comodo’s antivirus software. Not everyone would be willing to install an anti-virus software, but it would be better if they do. Nevertheless, Comodo is also equipped with SiteInspector which is a system responsible for filtering suspicious URLs. Having listed all the good stuff, Comodo also has its own set of shortcomings. 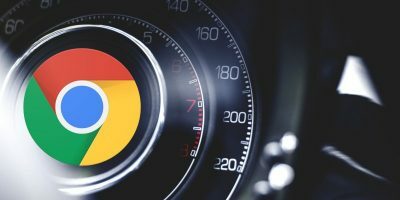 The browser does provide similar functioning as any mainstream browser out there, but it could use a bit of simplicity and create its own niche. Tor is not going through a good period right now; nonetheless, its services still remain up-to-date. The browser is best suited for those who are looking to shield their anonymity and secrecy from the most-visited websites. It also keeps you safe from spiteful cookies, trackers, and ads. To give you a heads up about how Tor works, it maps your traffic in a set of relays intended to keep your original identity and computer anonymous. The browser is not flawless, and it unquestionably has its disadvantages. But for those who just want to keep their identity as anonymous, Tor is an ideal browser. Tor is based on Firefox, open source, and comes pre-configured to access the Tor network. A considerable amount of built-in plug-ins and services that come pre-bundled with Firefox open-source have been disabled or removed in Tor. It’s important to keep the rowser settings as is or else you may end up giving away your personal data to websites. 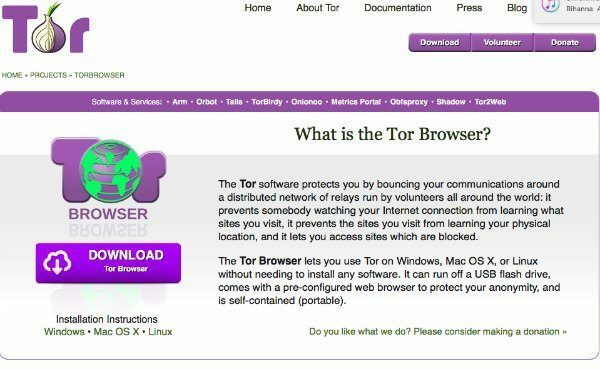 Tor is available to download for Windows, OS X, Linux, and in other portable forms. To sum it up, Tor is a good browser for surfing the Internet when using an untrusted system. It keeps your identity preserved and also lets you browse the sites that have content-filtering or blocks. The browser also keeps your real location sexert from other sites. However, you should keep in mind that Tor is essentially a privacy browser, not security. It is designed with a view of protecting physical and digital privacy, not security and encryption. It clears your browsing data of all your information as soon as you leave the network. 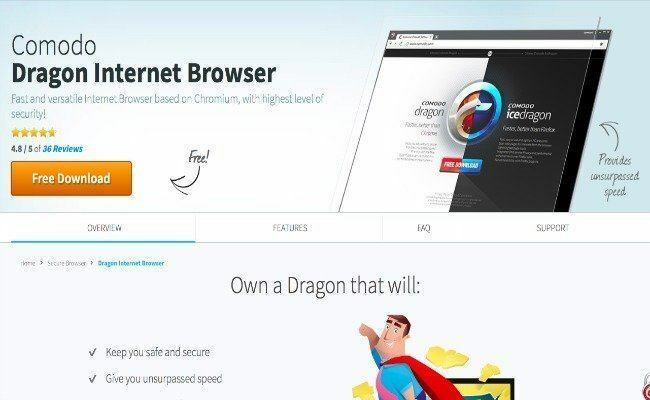 These are the top suggestions for the best browsers for online security. If you have others that you feel as just as good, please comment below and let us know. Trying Epic Privacy Browser. Quite well so far. Tried Comodo browsers too, but can’t remember why didn’t keep them. Now stick with Slim Browser, security and lightness. Always enjoy the info sent. I find most very interesting and some/many useful. i use comodo icedragon now and have for nearly a year…love it! 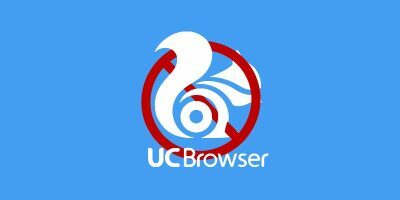 great browser. i do not/will not use the new “edge” or cortana….nothing connected with IE. lol…M$ loves me, i take IE out as soon as i can after installing any OS that has IE in it. From the license: With your permission, Comodo Ice Dragon will reconfigure your DNS settings to point to the Comodo name servers to accept, process, and resolve recursive DNS queries (“Recursive Traffic”). Question: What impact will this reconfiguration have on any other DNS settings that may be used by other software? There will be other extensions, I may want. I must admit, Epic lists very few extensions. However, it must be due to privacy, which is what Epic is all about. Haven’t heard about Epic Browser – gonna’ give this a whirl, sounds good for my home network. 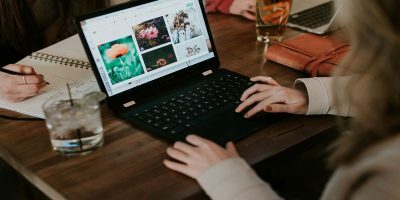 Have tried Tor Browser via Tails (https://tails.boum.org/) and it was an ideal solution out in the field while working on a number of public and corporate WiFi networks. Similar to user: ‘DV’, I too tried the Comodo version – can’t remember why I uninstalled. Comodo: thirteen years of pleasureful browsing and operating. Their Internet security suite is top notch and far superior to the big name brands. I have used them all, Norton, Semantic, McAfee, Kaspersky, AVG, Trend, etc. All of them were hacked or cracked compromising my PCs. I don’t understand why anyone would use them. A-N-Y-O-N-E! I like to avoid sites and companies that depend on them. Please note all of the huge notable cracks are “protected” by these giants. What does that tell you? Make the Internet safe and free: oppose DHS, NSA, and the fed.gov with every ounce of resistance you can muster. They are bigger terrorists than radical Islam and the Muslims that support them. They are HERE 24/7/365, stealing your rights every minute. The president supports and funds radical Islam and the Muslim sympathizers. (Do your own research. See Bills passed in WashingtonDC.) Don’t be fooled by Democrat lies. (Not that Republicans are any better.) You can write in anyone on any ballot, any office; you do not have choose from two unsavory politicians. A choice between a Democrat and a Republican is no choice at all. I left Yahoo for what micro is now doing so…it is time to change!! I am a solid patriot, want privacy and safety and a like bunch to be associated with…lets face it America is in dire straights and if we are to survive this onslaught of deception and stand up we have to compute safely. So off subject sort of….has anyone out there tried the supposedly safe sight in Iceland? I am using yahoo right now cause live/microsoft has locked me out of my own account and I cannot sent mail!! Does anyone have familiarity with this quick little browser known as: “Browzar” www.browzar.com ? 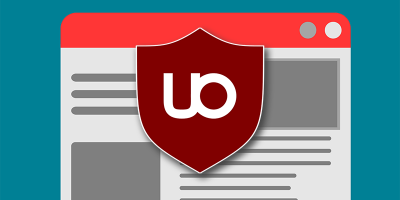 It is uber-basic, simple and quick, ‘disposable’ browser (it doesn’t ‘install’). I just started trying out EPIC and am enjoying it so far. I had been long time Firefox user but it seems crash happy of late, a bit stodgy and such so I had been alternating with Google Chrome. Chrome seemed more convenient and up to date but FAR too intrusive and lacking any privacy so the EPIC review alone was intriguing. Like commenter “MmeMoxie” I too am a long time LastPass user. So had EPIC been lacking a LastPass extension among the extremely few that it does offer, I would have had to keep on searching. As it is EPIC is seemingly ideal … seemingly designed with me in mind!